Mansfield Park is often described as Jane Austen’s most controversial novel. It has sparked debate among readers for 200 years, generating a wide range of emotions. In many ways, it is the most fascinating and realistic of Austen’s novels and – as Jon Spence proposes in his biography Becoming Jane Austen – her most autobiographical. 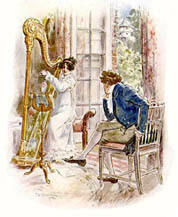 Although some consider Mansfield Park to be dark and pedantic, with a heroine less likeable than Emma Woodhouse, others revel in the complexity of the characters, the courage and fortitude of Fanny Price, and the variety of themes Austen manages to tackle in one novel: family relationships, education, passions and principles, virtue and vice, power, vulnerability and slavery, illusion and reality, and more. 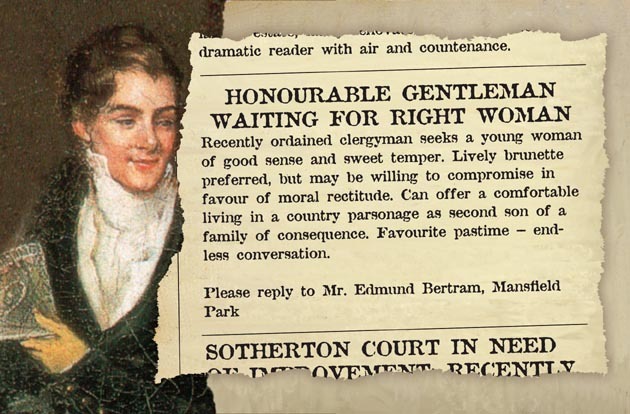 In addition, Austen's writing of “rears and vices,” adulterous affairs, and physical attraction make Mansfield Park her “freshest” and bawdiest novel (proving that she knew very well what was going on in the world of male/female relationships). Mansfield Park may not have the sparkling romance of Pride and Prejudice or the comedy of Emma, but it has plenty of the drama of a modern soap opera! Most of the controversy surrounding Mansfield Park is the result of our varying perceptions of the characters. Is Fanny Price a milquetoast or a Cinderella? Is she narrow-minded and stubborn or strong and morally centered? Is Mary Crawford a mercenary flirt or a lively young woman searching for a love that can become her anchor? Is Henry Crawford a reformable rake capable of falling in love with Fanny or just an actor playing a part? Is Sir Thomas a negligent parent or a moral authority? If you already enjoy Mansfield Park, the plenary speakers and breakout sessions at the 2006 AGM will deepen your appreciation of this rich, complex novel. And if you don’t see why anyone would cheer Fanny on or want to read this book again and again, the AGM is the perfect place to take another look at Mansfield Park from a fresh perspective. We know you will be inspired to think about the characters, the novel and Jane Austen in new ways! Image of “gentleman” from “The Cloakroom at Clifton Assembly Rooms” by Rolinda Sharples, ca. 1817-1819. Text copyright 2004, JASNA Southern Arizona Region.